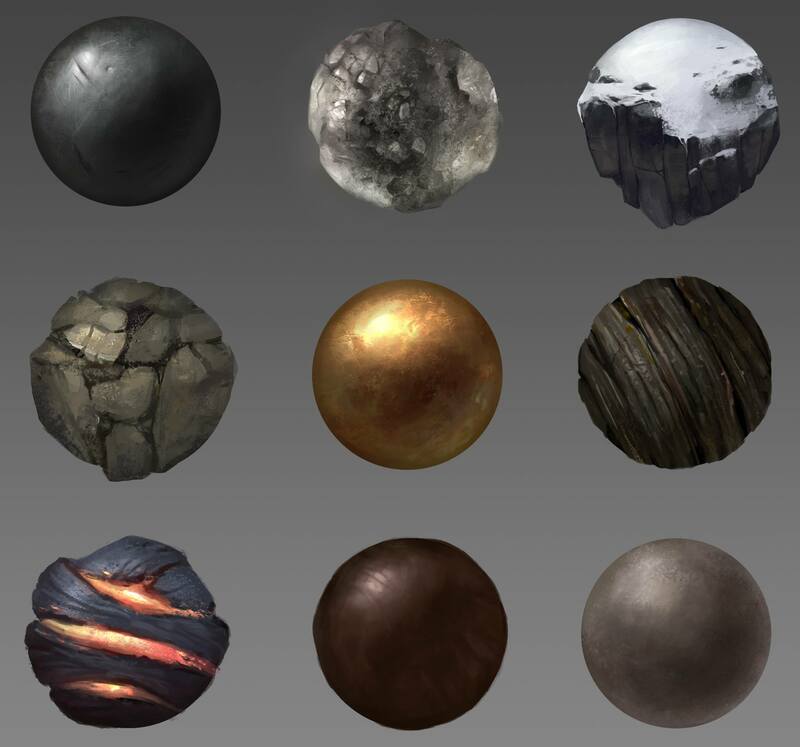 Some artist buddies I procrastinate in Hangouts with started a materials study challenge. The list of materials we’re going to study can be found at the bottom of this post. Join usssssss. We’re doing studies of various materials, from a list put together by Dylan and Crystal. The gist is that you go down the list, or pick materials at random, it’s your choice, and search the interwebs for reference images of said material. Then, you spend 15-20 or so minutes creating your unique ball of crap. Try not to spend more than 30 minutes on one, but the overall point is to really look at what you’re studying, and really pay attention to how to recreate the effect of that material. You can follow all of the studies done by our little ragtag group of artists here. What are you waiting for? Do your studies and share them! I’d like to see what you come up with!